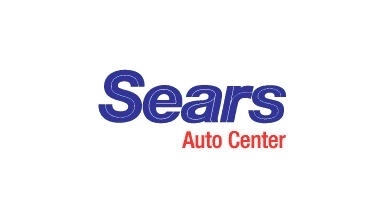 Today’s on the go lifestyle shows no signs of slowing down, so look to Sears Auto Center to make sure your go to vehicle keeps up with the pace. We have the essentials – tires from Goodyear, Michelin, Bridgestone, BF Goodrich and many other great priced tire brands; automotive repairs and services like oil changes, alignment and brakes; car batteries from top brands like DieHard and Plus Start; and power sport, lawn & garden and marine batteries by DieHard. Stop by for all of your other automotive accessory needs – custom wheels, performance suspension, cargo carriers, trailer hitch accessories and other car electronics – and drive on to your destination safely and prepared for your next road trip adventure. 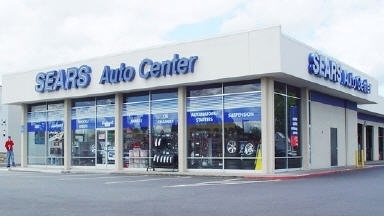 Many of our automotive products can be purchased online and/or picked up at your local Sears Auto Center. For more information on any of our products, talk to a Blue Automotive Crew member and they will gladly bring you up to speed on the latest products and services to keep your vehicle running strong. Expert advice is also available online via our click to talk application or by contacting our 24 hour call center. • Conveniently open 7 days a week, including evenings..
• Most Auto Centers are conveniently attached to a mall, allowing you to shop while you wait. • Updates on the status of your vehicle via text message from your technician..
• Knowledgeable sales and service associates are ready to assist you with your automotive maintenance and repair needs and help answer any questions. • Walk-ins welcome, appointments encouraged.